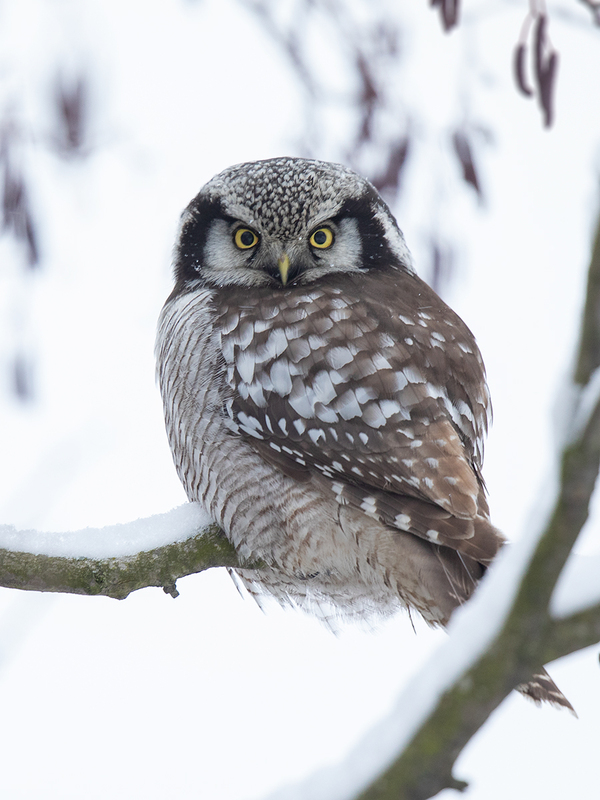 In the middle of January a not that common visitor appeared just outside the town where I live. 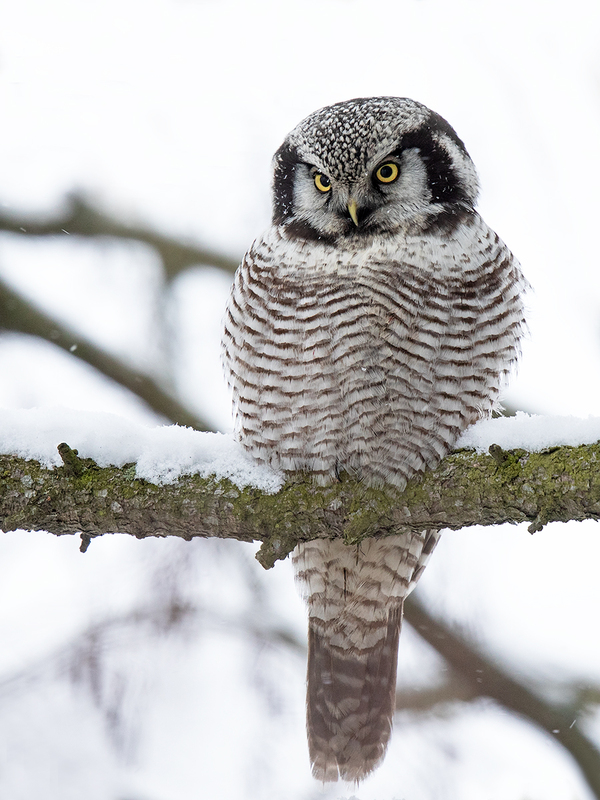 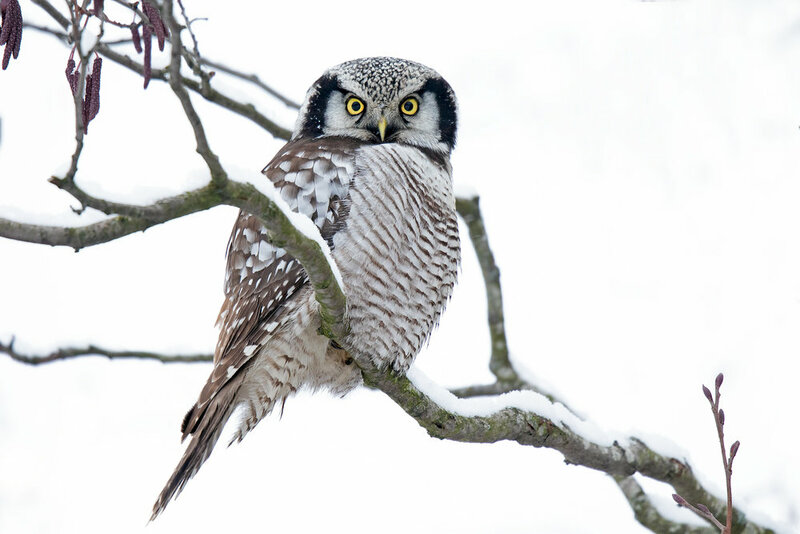 A Northern hawk-owl had settle down in a small group of trees and have been staying there for more than 2 weeks so far. 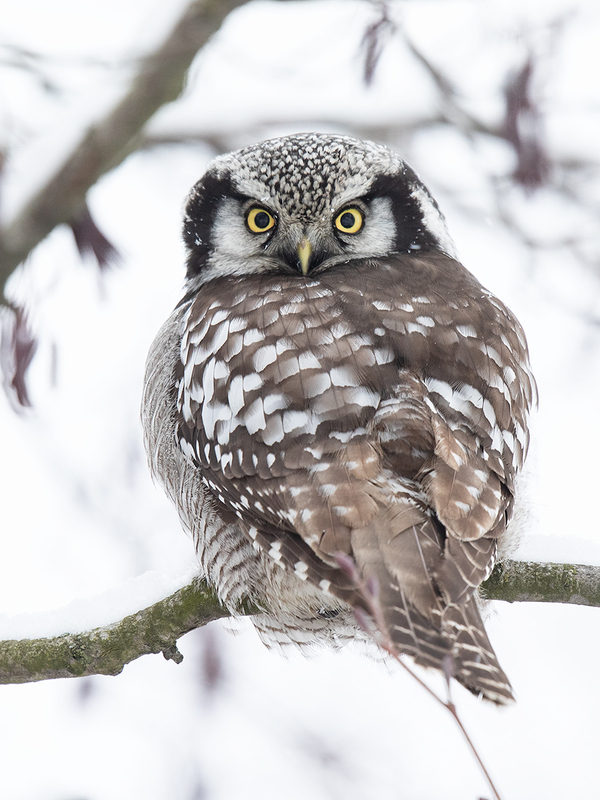 Yesterday I made a visit to the place and managed to get some photos of the owl.